Welcome to the new year! You made it. Congratulations. ðŸ˜‰ I'm glad you're here. 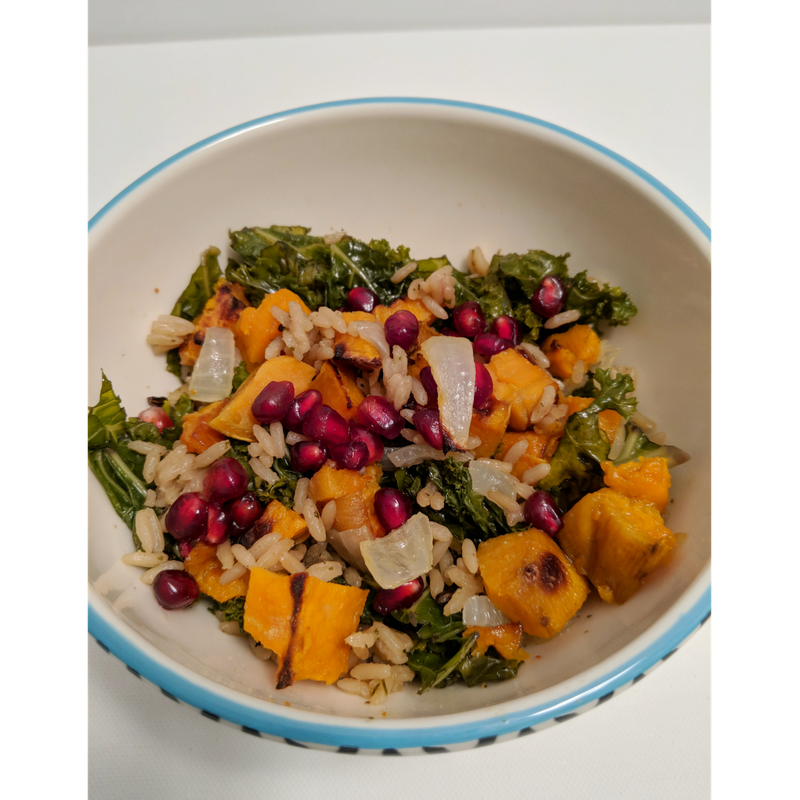 If you're feeling a little weighed down from all of the holiday gluteny (join the club), I have the perfect dinner recipe to jumpstart your healthy eating. It's currently my favorite meal, it's delicious, healthy, and filling, AND it's vegan! (You can always add your favorite meat if you must have landimals in it. My husband adds chicken, but I promise, you WILL NOT miss it. If you think you will, just claim this as a Meatless Monday favorite. Look at me being a problem solver. This meal is low on structure, and by that I mean I don't measure anything. It really just depends on how much you want. We like leftovers so we cook a good amount of potatoes, but you can't mess the meal up. So, tweak to your liking. Slice onions then cut each slice into fours. You can cut them as big or small as you'd like, but smaller onions will burn while roasting. Set aside. Peel then cut potatoes into imperfect cubes (perfect cubes are hard & boring). This step can take a while so it's best to start well before everyone is hungry or prep beforehand. Mix onions and potatoes on a metal baking sheet, then generously drizzle olive oil on top. Mix with your hands to ensure all onions and potatoes are coated. If using the Uncle Ben's Ready Rice, prepare as instructed on the package, which only takes 90 seconds. If using a different kind of rice, prepare while potatoes and onions are roasting. Once everything is done, make your plate! 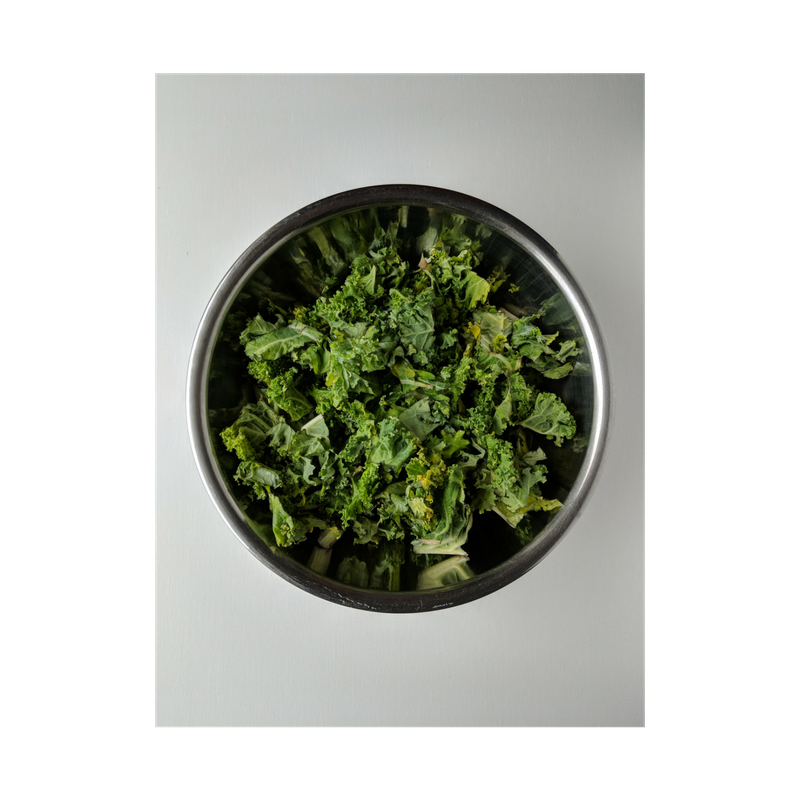 Add kale as the base. Add rice, then slightly mix the two together. Add the sweet potatoes and onions on top. Then add your pomegranates or garnish/sauce/topping of your choice.